High-performance workflow – Speed up daily processes like phone calls and credit card processing while achieving 100% accuracy and increasing profits. 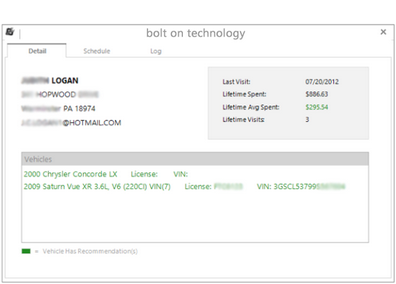 Add more vehicles to your calendar, improve precision, and gain more trust and return visits from your customers. More business with less work. Receive instant customer information when customers call your shop. 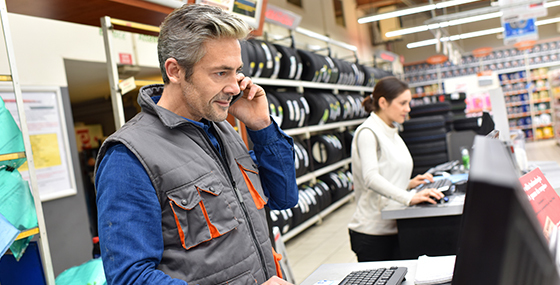 Now, when your phone rings, you’ll get full account & vehicle history – allowing you to confirm all contact and vehicle service needs. With no effort on your part – you’ll receive the total money spent by the customer, average spend history, lifetime visit counts, all vehicles owned, what services are needed, call logs, and more. See how valuable each call is to you with just one click. All this information is available the second each call comes in. A small box pops up on your PC – allowing instant access to this data. With one click, you’re ready to schedule future appointments. Quickly process your customers’ credit card transactions safely, securely and efficiently – plus capture each email address during payment. 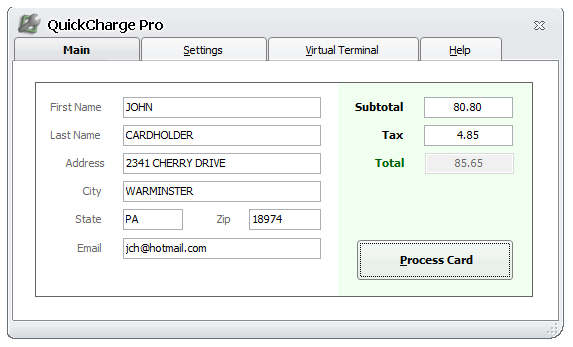 All payment and email information is integrated into your shop management system – with no effort on your part. In 3 months’ time, the average shop – based on 10 vehicles a day for 22 business days, with 75% of payments made by credit cards, will generate 495 email addresses. That’s 495 more opportunities to sell more services.